Dating is a huge part of every successful relationship, no matter if you are married or not. Ian and I have been so busy lately between all of our commitments and daily errands, and it honestly has been so incredibly hard to find time to spend together. We try to go out on date nights at least two times a month, but this past month, we only had time for one. 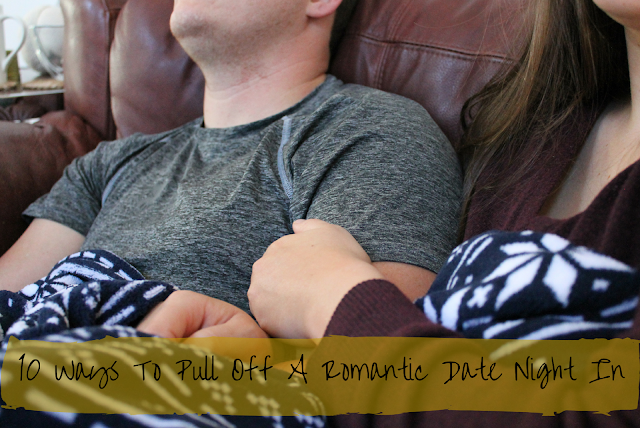 I decided that I needed to take advantage of the limited time we had together, so I put together an easy in home date night! No matter how busy you are, finding time to spend with your loved ones is so important, and definitely do-able if you actually put in the effort. My in home date night was easy, quick, and a lot of fun. I believe you can do the same with your significant other no matter how little time you get with them, and I have even put together tips to help you pull off the perfect in home date night. 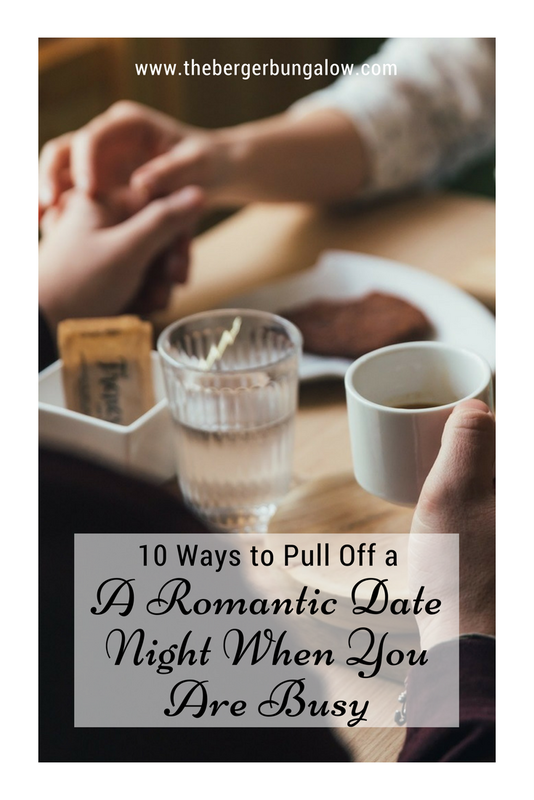 This date night can happen after a busy day at work, or a day full of errands and you don’t have to spend hours on cooking, cleaning, or setting up which is perfect for a busy lifestyle. Putting up decorations to make it romantic is challenging for some, so let me give you a few tips to make it easier! Seasonal decor is an easy way to add some decorations: pumpkins for October, pinecones for November, and greenery or a garland for December are a few examples of ways you can add seasonal decor. Also, candles are an absolute must! Dim the lights and turn on the candles to make it romantic. All of the decorations that you see on my table were sitting around in my house – on my mantle, in my Christmas box that we already took out, in our bathrooms, etc. There is no need to shop for decor – find your own in your house to save on time and money! Nobody likes a date that stares at their phone the entire time. We have become a society that focuses so much on social media, but take my word for it: you don’t need to snapchat you entire date night for the world to see. If you really need to take one picture, then only pick up your phone for that one. Putting on some romantic music is easy and takes no longer than a few minutes, at very most. I love using Spotify because they have so many playlists for you to choose from. This is easy so that you don’t have to spend time creating your own list, but if you do have the time, that is a way to make it extra special! This step is the one that can take as much or as little time as you want it to. We don’t have a ton of time to cook lately, so we opted for cooking MorningStar Farms® Veggie Bowls for dinner! As most of you know, Ian and I try to live a healthier lifestyle most of the time, so these were perfect because they were quick, and so easy to fit into our date night, or in general life! Plus, is was such an easy way to substitute veggies for meat, which we try to do pretty often We tried the Chik’n Pot Pie, and Chik’n Tikka Masala options both which had 100% vegan chik’n strips that are lightly seasoned and only 150 calories with 23g of protein in them! How amazing is that? They also have veggie bowls that have steak strips and veggie sausage crumbles™ in them, as well. The good thing about MorningStar Farms Veggie Bowls is the fact that it’s not only for vegetarians. They are great for people on the go – all of the families that are pulled in different directions each day, the busy working people, and also the general health-concious people. Ian was shocked when I told him that the bowls didn’t have real chicken in them. These bowls really are for everyone and are great for all ages, demographics, and lifestyles. To us, wine makes everything better and more romantic! We love sharing bottles of wine that we find together. It brings us back to the time we found it together, and gets conversation started about fun times. This is something that is only useful during cold months, but it is such a romantic touch. I don’t know what it is about fires, but they add so much romance to an evening. Maybe it is the dim light it puts off, or the warmth, but it always adds extra romance to the evening. So, obviously this won’t work for those of you that don’t have enough time for a movie, but luckily, we pushed off our bedtime a bit so that we could fit this in, and it was so worth it! Who doesn’t like to cuddle and watch a romantic comedy?! We loved this! We just moved into our house a few months ago, and this just changed things up so much. It was so fun to do something simple, yet so different! We made sure we put down an air mattress for padding, but if you don’t have an air mattress, just be sure to pack on the blankets so that you are comfortable for a good nights sleep! I don’t like games, but Ian loves them! We have so many board games tucked away in our closet, and we definitely need to put them to use more often. This was an awesome time to take advantage of them. We pulled them out and began to play. We had a couples shower before we got married, and our guest book was actually a jenga set, so we got to play with the jenga set and relive our couples shower. So neat! This is the most important step, and I guess it technically could go hand in hand with putting down your technology, but hear me out. If you don’t put time and effort into your significant other, your relationship will fail. We don’t get much time together, so when we have the opportunity, we do our best to actually focus on each other. We not only put our phones down, but we consider how the other feels, and what they want. Ian knew I didn’t want to play many games, so we limited those. I knew that Ian didn’t want to watch another romantic comedy, so we changed paths. If you actually focus on each other, it makes your time together so much more meaningful! Have you ever had an at home date night? Next time, try picking up a MorningStar Farms® Veggie Bowl so that you can have more time to spend with your loved one instead of spending so much time on cooking, and cleaning!